How many wildlife photography tips do you need? Well if you’re like me you can always use more and more and more. Tips and tricks in photography are quick and easy ways to learn how to improve your nature photos. I know that my kayak photography experience has helped me improve my photography techniques for a range of conditions. Let’s face it a tip is useful to anyone if they’ve learned from it. One of the best tips I keep using is to turn off image stabilization. Yes I said that out loud. When you’re shutter speed tops 1/1000th of a second IS systems start to detract from your photo. I wrote an article some time ago about this and sports photography tips. Sports and nature or wildlife to be specific share a number of things when it comes to taking pictures. Fast unpredictable movement, long lenses and often low light. Mastering one will help a lot for the other. When I take photos of wild animals I see them similar to athletes and how they are focused on what they’re doing. Not often will you catch an wild animal playing around. Learn the general behavior of the animals you’re going to take pictures of and you’ll learn an important tip, it’s not just about your gear! Over the years I’ve used a range of gear when I’ve gone out to take nature photos. Back when I was learning photography basics I kept to simple equipment like a single Canon camera body and prime lens like the Canon 50MM. This simple outlook on what photography equipment to use allowed me to focus on why I was outdoors in the first place. Today my favorite wildlife photography cameras is the Canon 1D X (mark I or mark II). As a workhorse camera it’s well suited for almost any need. What I like outside of the obvious is the ability to shoot quickly and rapidly. 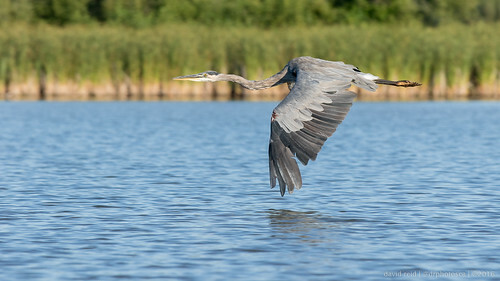 Also having customs wildlife photography settings I can set reusable settings that help me improve my images over time. There is no magic DSLR photography tip that’s going to make every picture perfect but there are some simple things to always remember when shooting wild animals. As a Toronto photographer I’m lucky that nature is so close to me. I often visit local wildlife preserves like Lynde Shores conservation area to take bird photos or to find creative photography ideas. Over time my photographs of nature have improved significantly, or at least I think so. Boots – yes you’ll need them. As a nature photographer I find myself returning to the same location throughout the year. You get a good feel for the area and what to expect within the surroundings. What you gain is the ability to worry about one less thing and focus on taking better photos of the animals. When I’m asked what is wildlife photography to me I simply say it’s when I’m out and about walking through the bush. You just never know what you’ll see! You can also read more of my nature photo tips to help improve your photography or gain some new ideas.